Having that fish to eat is a huge boost. Now, instead of clams and rice and asparagus, I eat fish and rice and asparagus - Ha! Seriously though - it's so much better than clams, clams, clams. I worked on my traps a lot today. Now I have two active varmint traps in my yard. Still no animals - but this morning I was SO close. I was on my way to play softball - riding my bike down the street. I looked over to my trap and there was a squirrel standing right in it! I thought for sure this was going to be the one. I quickly ran back inside to get my camera to video the capture. When I got back outside, the squirrel was not in the trap any longer. Then in a flash it was gone. I inspected the trap and sure enough he had taken the bait. However, the trigger mechanism did not fire. Damn! I'm not exactly sure why but while I was visually inspecting it, wouldn't you know - it sprung and the door slammed shut. 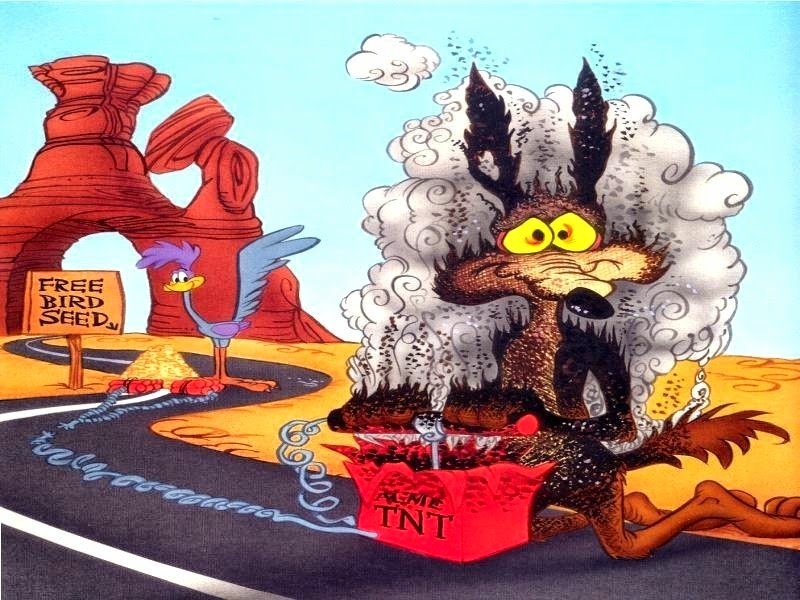 It felt like I was on one of those old Road Runner cartoons and I was the coyote who's contraptions never worked - and then blew up in his face. Hopefully one of these traps will work soon because I am really ready for that first reward. I am going to have to think of some other primitive survival skills to accomplish. When I get enough energy and time I am going to work on making a fire. I almost forgot. This morning I took a ride to the beach and the ocean was nice and calm. 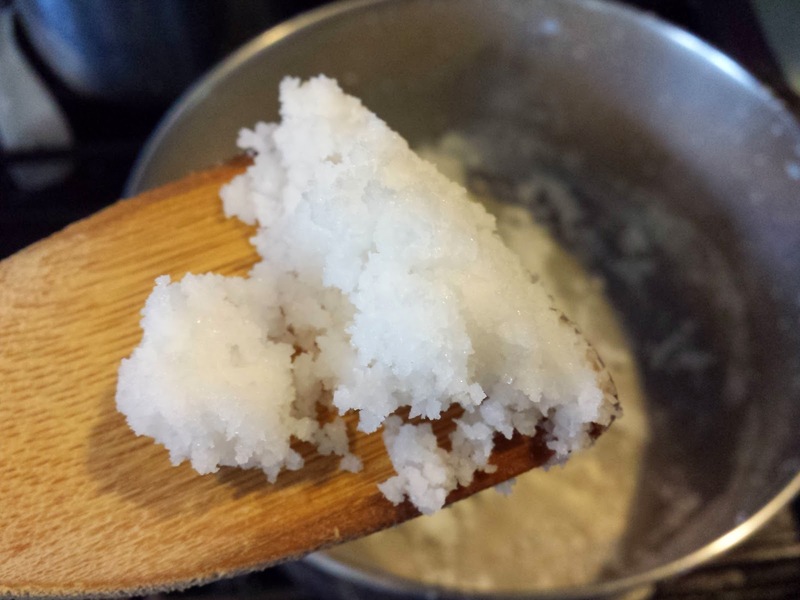 I scooped up a bucket of sea water so that I can have some salt on my food. It only took me until Day 9! Sheesh. That's because the weather had churned up the sea so badly all last week. 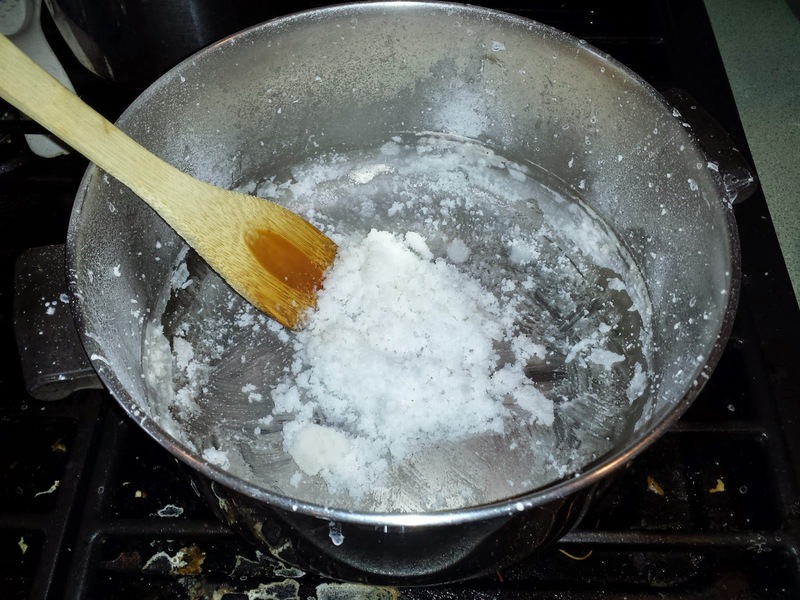 I filled a pot at home and boiled it down for 5 hours until the only thing left was the sea salt. I filtered it a couple of times during the process to try to get rid of any obvious impurities. When it was finished boiling down I laid it out on some parchment paper and put it into the toaster oven for about an hour on 200 degrees. This just helped to dry it out completely. I should be set for salt for the rest of the challenge. That is, unless I make up a brine for curing and smoking fish. I may have to get another bucket for that. 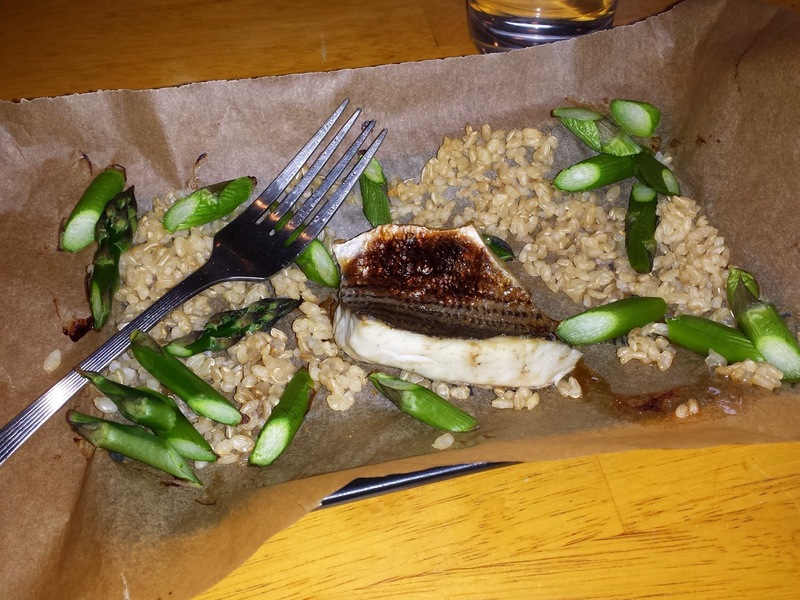 For dinner tonight I had striped bass carcase. After cleaning my fish, the only thing left (besides the head) was the carcase - bones and ribs. However, they were still covered with a substantial amount of meat. I just put a little salt on it and threw it under the broiler for about 15 minutes. The bones and fins crisped up nicely. I sat outside enjoying a nice fire in my new fire pit while eating the remaining meat off the bones. Nothing to waste here. 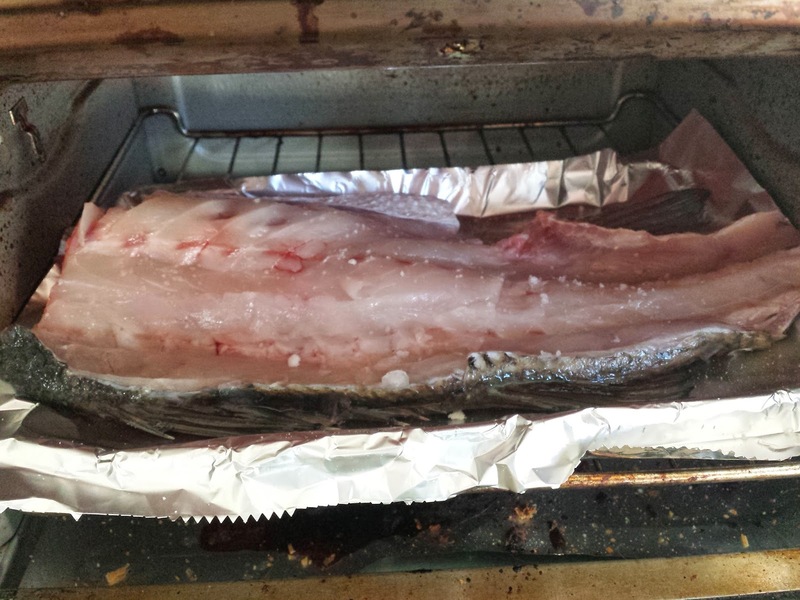 It was quite tasty and what I noticed was that the belly area of the fish yielded a significant amount of fat. I mean it's not like bacon fat but this observation might be useful in the future when I need some oils and fats for other types of cooking.